Right after the Telangana elections, the government officials are taking strict action against illegal structures which are erected across the limits of GHMC. The revenue officials have started demolishing such illegal structures. Interestingly, in Rayadurgam region Tollywood star hero Prabhas owns a guest house. But the officials have seized that property. In Rayadurgam’s Paiga region, there is an area of 84.30 acres is in dispute. The dispute has been in court from the past few years. After so many years, the court has finally announced the verdict three months back that the entire land belongs to the Government only. During the demolition of all the illegal constructions in that region, Prabhas guest house is also seized. 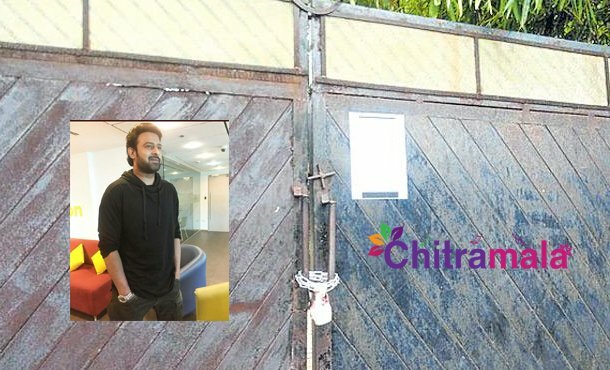 As there is no one present in Prabhas’s guesthouse at that time, the officials have seized the property by pasting the notice which says that it belongs to Telangana Government. The ‘Baahubali’ actor is yet to respond on this issue.